As it's the last Friday of the month once again, Nintendo of Japan has revealed their Virtual Console plans for the next month. There are some notable games here, including (finally) Donkey Kong 3, the first Space Harrier, another Fire Emblem, and Shining Force II. Shining Force II is the big one this month if you ask us! I'm getting the feeling Nintendo isn't too fond of the Nintendo 64 console. That's a pretty decent list overall. Splatterhouse 2 and Shining Force II seem to be the big ones, although Samurai Shodown II is one near and dear to me. Spatterhouse II for me please! 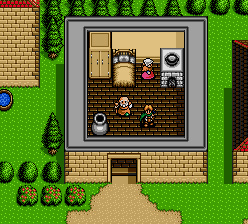 Bring on Shining Force II, baby! I've been waiting on that one to get its stateside release for months. Truly amongst the Top 5 greatest strategy RPGs of all time. Welcome to the Fantasy zone, get ready! Can't wait till we get it. SOOOOOOO much better than 2. 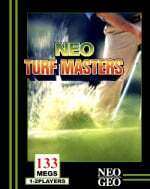 Neo Turf Masters is finally coming out for the Neo Geo, this is one cool golf game, even if you don't like golf Turf Masters is really enjoyable, hopefully it'll come stateside sometime. I'd only get Samurai Shodown 2 from that list. I'm glad DK3 is coming just to complete the DK trilogy. Wait, what?! 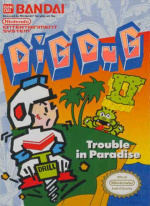 Did we seriously get Dig Dug before the Japanese did, despite it being an actual Japanese rom?! Glad to see another classic NES title. I hope Pro Wrestling, Golf, Rad Racer, Slalom, and Clu Clu land D will follow. You Go Nintendo! Yeah, they´ll get a fire emblemand shinning force 2!!! I´m waiting for Shinning Force 2 to hit the Americas virtual console. I think you're confusing Eggy with Eggbert, zss_shadow. I can't believe more people are not excited about Samurai Shodown 2. Although I can understand getting excited about Shinning Force 2 which IMO is the best in the series. A 3rd MSX game! But will it actually be released on time? Ask anybody who's written an N64 emulator to tell you how hard it is to emulate that system... Most people are content to play N64 ROMs on their PCs with some glitches, but Nintendo would never release them that way, so it's likely they have to tweak each ROM before it can go out, something they don't typically have to do with the other machines. That'd be my guess why N64 releases are much rarer than the other systems. 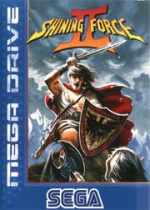 Shining Force II! While it's not as good as the original, it's still a wonder to behold. I am excited! With this and PSIV on the horizon, the Genesis is going to see some sweet action on my Wii in coming months. Seirei Senshi Spriggan is totally amazing, by the way. It's by Compile, the guys behind MUSHA Aleste. We want a release date list too!! Death awaits you just kidding, Ninty. or am i? Congratulations for listing all the games that will NEVER be released on the VC. The only sensible ones are PilotWings 64 and Donkey Kong 'Collect 'em Up' 64. We need more N64 titles! still no love for the n64! Hey now, just because no N64 titles arent listed for Japan doesnt mean its going to be true for everyone. Have people forgotten about the DS version already? I know Super Mario 64 had a DS version but Super Mario 64 is a flagship N64 title, one which is held in high acclaim and talked about to this day. Surprisingly, nothing too interesting for me in Japan this coming month. Maybe I'm still recovering from the shock of Mario RPG showing up on the list from last time, though. There are so many potential VC games yet to be released in North America, it seems like we'll never catch up. Not with 1 - 2 releases a week, especially. no N64 there are just so many great games that need to be released from that console. Lucky Japanese though ... they get Fire Emblem games. And, again, no new N64 games... Real bummer. What did I just say!? I wish they would translate the Japan only Fire Emblems, though I will take DS remakes of them as well. Also I would like the N64 Custom Robo that was released on VC in Japan a couple of months ago. Blasted language barrier. I knew I should have kept at Japanese in High School. Fire Emblem for the win! I wonder what the blood gear game is about? Anyone ever heard of it? Tony: It's a fairly uninteresting platformer action game. Ok soundtrack and some speech (Not a full voiceover) though (It is a CD game). ORIGINAL SPACE HARRIER! HOOK IT UP! Now, Darius Plus is an interesting game. It was released for the Japanese-only Supergrafx, a (very) slightly graphically upgraded PC Engine console with horribly expensive games (only a handful of games were released, making the thing a massive failure). Darius Plus, unlike the other Supergrafx games, was playable on the PC Engine as well - the graphics were somewhat downgraded, but the game itself was identical (showing how worthless the Supergrafx really was). This, of course, poses the question - will we get an emulation of the game running on a Supergrafx or a PC Engine? The game is pretty good, and would make for a nice import. It's a remake of the original Darius arcade game, with various new bosses and such. Blimey Japan are still waiting for Donkey Kong 3!!! I know the game is a bit pants but even Japan get their games later than the rest of the World. I can't believe it to be honest but no Pilot Wings, Mario Kart, or dare I say no Golden Eye yet or Majora's Mask or Earth bound. I never had the honour of playing Golden eye but my friends can't believe it either! I second what Drake said about Blood Gear. It's very mediocre. I have a SuperGrafx system, but I mainly only keep it around for the Ghouls & Ghosts game. More of a keep-sake than anything I normally use much. If only VC and WiiWare had worldwide releases like XBLA does. @pApEr y0sh! — we don't get it because it's in Japanese. Would it kill Nintendo to release an N64 game once in a blue moon? Four games for the Turbografx?!!? I really couldn't care less about the TurboGrafx anymore. I gave their games many chances, and I didn't care for any of them. Nintendo is just overly selective about what games they decide to release. The VC has seen its share of import games. It's too early to tell if the FE games won't come on VC. Besides, the VC and the Wii probably have around at least 4-5 more years to go. I really really doubt we'll see the FE games outside Japan. They're fairly texty, and while they CAN be played without knowing any Japanese, that requires a bit too much effort for your average Wii-owner that they'd dare give it to us. And of course, writing "this game requires knowledge of the Japanese language" in the description is downright suicide. I just hope Nintendo starts translating our imports again. Don't we pay extra money to play our games in English? "Don't we pay extra money to play our games in English?" No. DoReMi Fantasy (and I think some other ones too) didn't have too much text, but they didn't bother to translate it, and it was still a buck extra. It was still worth it, of course, but as far as I know they didn't exactly do any extra--ahem--WORK. I also have Bio Miracle and Sin and Punishment (which was dubbed in English already) . . . I think they did a little to the menus so it was playable. It's too bad, but I'd never, ever expect Nintendo to translate an RPG for an extra two or three bucks. Some imports would be well worth double the normal price for a translation. But why would they do that before throwing out the other stuff they're sitting on? Yeah, I knew they didn't do any translation to some of the imports so that's why I whined a bit. I have Sin and Punishment because they translated what needed to be translated, but I have held out on such games as DoReMi Fantasy specifically because they didn't translate it. @Junichi: I know the games made by rare might never see realease, one can dream though. But the others: Mario Party, Goemon (99 % certain release in my opinion), Ogre Battle 64, Star Wars games and Turok 1-2 I see no problems with. @Pj: You haven't played Golden Eye, that's like never living. You owe it to yourself to buy an N64 and play it (preferably with 3 friends). Damn you Microsoft for buying rare! 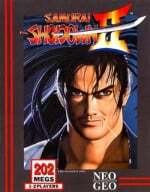 2 is the best samurai Shodown ever! 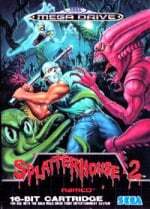 Would love to try Splatterhouse 2 and i might get Samurai Shodown II sometime when it arrives but i might give it a miss if an antology version is coming. Glad the Darius games are finally coming, though i haven't heard much about them apart from them been shoot em ups. I agree Slangman, anthologys always give better value. Maybe they don't put more N64 games up because they know people can get most of them for under 10 bucks. Shining Force 1 was great: But, why wasn't Jack Nicholson an unlock-able character? But really, all you have to do is replay the first fight 100 times and you're ready to beat the game with the levels you've built up! If I can get Mario RPG, Samurai Showdown II, Super Fantasy Zone, and maybe Star Parodier, I'll be all set... for the moment. 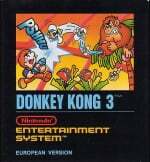 I think you guys mixed up Donkey Kong 3 (NES) with Donkey Kong Country 3 (SNES). The first one is an arcade port while the second is a Rare platformer. Nice list, but I WAN'T Y'S BOOK I + II IN THE USA!!!!! I was hoping they'd release Neo Turf Masters over in the US a few weeks back when the U.S. Open was on. They could've sold a whole lot of that game then! But it's good to know it's coming out now! I've played it a lot on GameTap but I'd like one on the Wii with a better framerate and sound that isn't messed up. "Nice list, but I WAN'T Y'S BOOK I + II IN THE USA!!!!!" Yup. That one is driving me absolutely up the wall--it may very well hold the record for the longest time spent on that freaking "coming soon" list, and Japan has had it for ages. I get the vibe that Hudson just loves the VC, and suspect they're putting a bit of thought into the timing of releasing it. What I really hate is that Europe gets C64 games, Japan gets MSX games and we don't get anything that would be exclusive to EU or JP. I really wish Nintendo would release ZX Spectrum games as a US exclusive. Then I wouldn't have a reason to complain. Shame on you, Nintendo! Neo Turf Masters!!! I loved that golf game!!!! !, but I am still waiting for Super Mario RPG!!!! @ Tides of Chaos: Pj sure mixed them up, but what makes you think Bass did, too? Ehhh... none of those sound particularly appealing to me. MAYBE Donkey Kong 3 and MAYBE Splatterhouse 2...... but thats about it. Think they'll decide to give us Vectorman in NA this month? I don't need DK3. I have it for e-reader. But I do wish we could have the early Fire Emblems here. I wanna see Marth and Roy in their prime! Sadly, Ninty's probably not gonna put the work in to translate it. Might try SH2 and Samsho 2, though I'd need to try their prequels first. 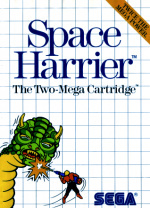 I might give Space Harrier a go too. Roy? You won't see him on the VC anytime soon, since his only game was on the GBA. Nintendo are probably going to release the FE1 remake in the US, though, so you'll get your Marth goodness there.